Smartphones have brought massive computing power to the fingertips of billions. Some people feel that such vast computing power comes with responsibility. Part of that responsibility is to use computing power to improve lives. Smartphone developers the world over are doing just that by creating apps designed to improve the smartphone experience for users with limited vision. 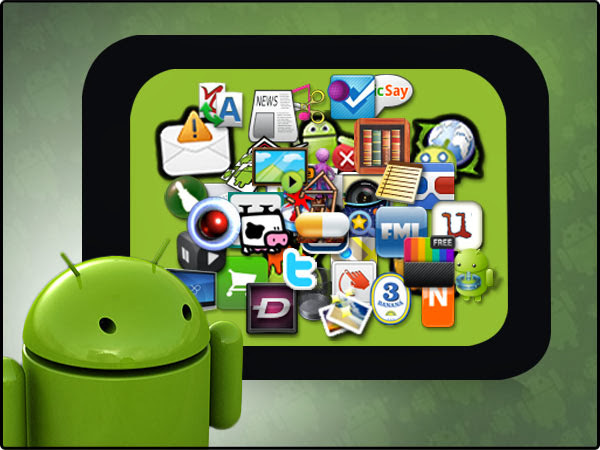 Here is a small selection of some of the best accessibility apps for Android smartphones. The standard keyboard on most Android devices leaves a lot to be desired. For those with accessibility dilemmas, the standard keyboard is virtually useless. Fortunately, there is an alternative that offers a better design. Big Buttons Keyboard Deluxe provides a partitioned Delta II modified-QWERTY keyboard that makes typing faster and more accurate by offering a keyboard that is roughly double the size of a standard Android QWERTY. The size of the buttons is only a small part of the app's appeal though. The Big Buttons Keyboard Deluxe offers users the ability to change the keyboard layout, adjust keyboard size, customize the number of spaces after a period, implement themes, and much more. The keyboard for the Big Buttons Keyboard Deluxe is so revolutionary that the patent for it is being actively licensed. Revamping the Android keyboard is only part of the solution for those suffering from vision impairment. For example, users shopping for contact lenses online will want to be sure they are getting the right product. The only way to do that is to read the product description, but the text is often far too small. To make text bigger, one could use the built-in Android options, but there are only three choices. Is there a better way to change the font on an Android device? Yes. The Big Font app goes over and above the standard Android offerings by allowing users to scale system fonts from 50% up to 300% of their original size. Settings are completely customizable, which means users can set the font to fit their exact needs in terms of readability and how much text will fit on a page. Big Font even puts a small icon in the notification bar so that users can switch the app on and off with ease. The result is big text only when it is needed and a premium app for people who require larger text. Big Launcher was designed with the visually impaired in mind, but it works just as well for people who want a clutter-free interface on their Android device. The basic premise behind Big Launcher is that some users would benefit from a smaller number of large icons rather than a large number of small icons. Big Launcher delivers on that premise, but goes far beyond by offering a range of customizations to help accommodate individual needs. The extra features of Big Launcher are too numerous to list, but here are a few highlights. Text messages are presented using the full screen. They are also color coded and organized by conversation. Shortcuts to groups of apps can be created to make accessing apps easier and more intuitive. A very large phone dialer is offered in a color coded, simple layout. The interface is fully customizable with an unlimited number of app screens, contact, shortcuts, and widgets. It even offers themes for easy customization. Big Launcher won the 2011 Vodafone Smart Accessibility Awards. This app makes it easier to capture pictures in challenging light settings. The Night Vision Camera app adjusts camera settings automatically based on input from the proximity sensor and the camera itself. Then, it makes adjustments to available settings to provide the best exposure for each photograph. It can even adjust the camera flash to maximize brightness. Beyond being supremely useful, Night Vision Camera is just plain fun, which is probably why it has been imitated by so many. TalkBack isn't just a screen reader, it is an accessibility service that makes interacting with a smartphone more intuitive for those with impaired vision. One of its most brilliant features is the "Explore by Touch" function, which provides auditory and tactile feedback based on what's under a user's finger. TalkBack is more than just an app though, it is an accessibility framework for developing apps. That means developers can use it to make other apps more accessible to the visually impaired. KickBack and SoundBack are but too of the myriad apps that expand upon what TalkBack offers. TalkBack is available in a number of different languages and is actively supported by Google. One of the great things about the apps discussed above is that they are actively maintained by their developers and have strong community support. Both of these facts bode well for the future development of accessibility applications. What is more, one of the strengths of mobile computing is that it is accessible to a large range of developers. That opens the field up for creative, compelling application development. Expect to see even more improvements in smartphone accessibility in the future. Simon Walters is a veteran optometrist. He loves finding innovative technologies to assist people with vision challenges.